It’s Friday, it’s time to treat yourself. 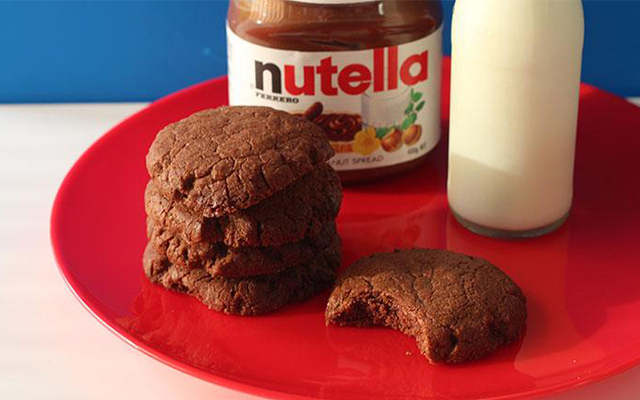 Reward yourself this week with these super quick and easy to make 4-ingredient Nutella cookies. 1. Preheat oven to 180C (160C fan-assisted). Line a baking tray with baking paper and set aside. 2. Place all ingredients into an electric mixer and mix until all ingredients form a dough. 3. Roll tablespoon-sized balls and place them onto the tray. Use a glass to press the balls out into even-sized discs. 4. Bake for 12 minutes. Leave to cool on the baking tray for 5 minutes and then transfer to a baking rack to cool further. Recipe courtesy of kidspot.com.au Copyright statement.